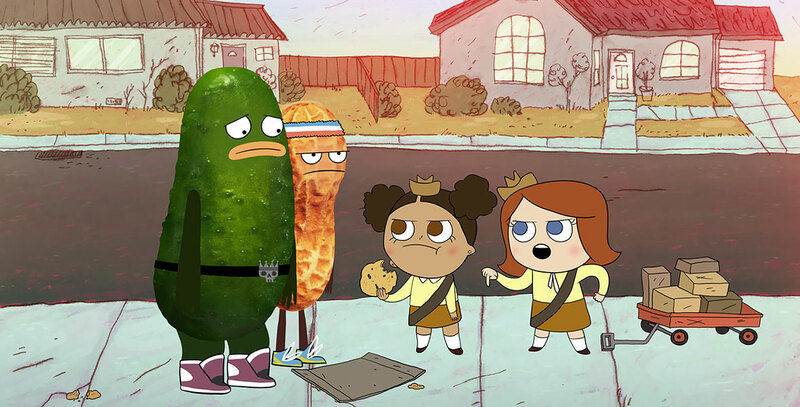 Pickle and Peanut (television) Animated buddy-comedy series premiering on Disney XD on Sep. 7, 2015. Small-town teens Pickle and Peanut embark upon their last year of high school. Determined to cram in as much fun as possible before taking on the inevitable adulthood responsibilities, the two underdogs dream up plans to be anything but ordinary in their slightly bizarre fictional suburb of Reno, Nevada. Voices include Jon Heder (Pickle), Johnny Pemberton (Peanut). From Disney Television Animation.